On LEAD Greece, you get to travel to Athens, Crete and Santorini and see all of the highlights of Greece. You get to spend the first two weeks in Athens, exploring this dynamic and artistic city. From the markets of Plaka to the rooftop cinemas, you will get to see many sides of the city. We will organize a city tour and visits to the Acropolis and Parthenon, so you can learn all about the fascinating ancient Greek culture. Service Week also happens in Athens and you will have the opportunity to contribute to the local community through hands-on service work with a local non-profit like the Salvation Army. 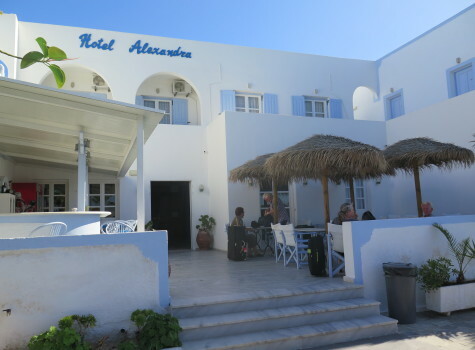 Next, you will hop on a ferry bound for Santorini! This magical island really looks as beautiful as it does in the movies. 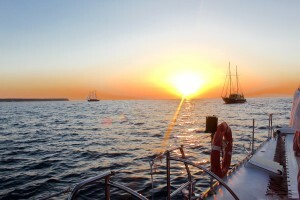 Here we will take a daylong tour of the volcano, enjoy fresh seafood and ride donkeys to watch an amazing sunset at Oia. 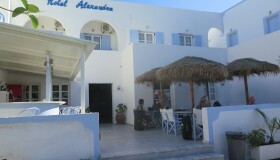 We will stay in Fira, which is the the heart of the island and just minutes from the best shops, restaurants and cafes. Our final stop is Crete, the largest and most adventurous island in Greece. Here we will wrap up the leadership and service learning curriculum while exploring Heraklion and hiking Samaria Gorge, the longest gorge in Europe. The four weeks will fly by, but you will return home with new friends, a stronger vision for your future and countless memories from paradise! 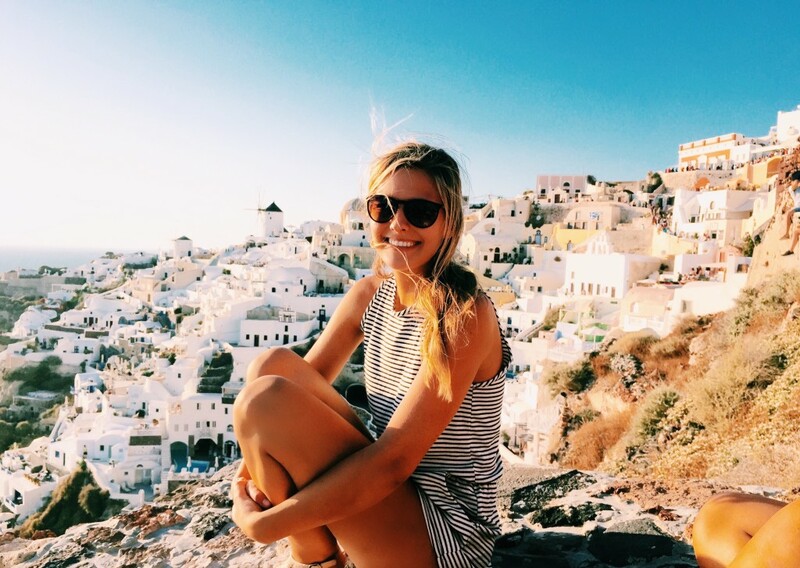 Ready to sign up for a Greek adventure this summer? Apply here! 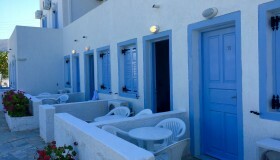 All of your accommodations in Greece inspire relaxation and are reminiscent of the beautiful Grecian beaches. 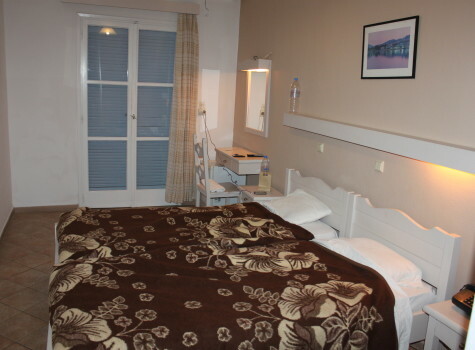 In your first week, you will stay in Glyfada, a quaint seaside community of Athens. 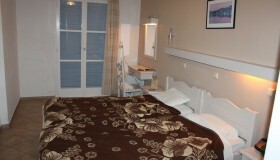 The location is close to shopping, restaurants and coffee shops. Additionally, it is a quick train ride into the city center. 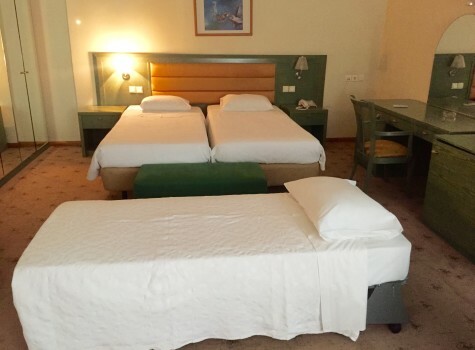 Students will stay in double or triple rooms in our Glyfada hotel. 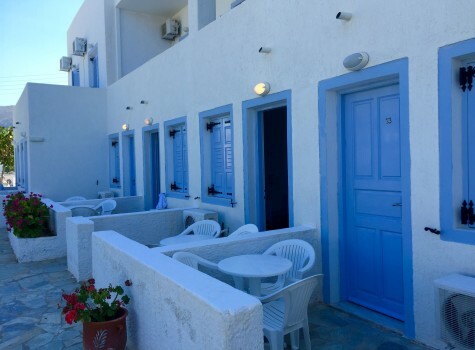 During your time in Santorini, you will stay at a boutique hotel in an ideal location with easy access to restaurants, museums and the beach. Students will stay in double, triple or quad rooms. Our final stop is in Crete where you will live at the Galaxy Villas. These amazing apartments are in a peaceful, hilltop neighborhood with unbelievable views. You can walk down to the beach, hop in the pool and take a short walk to class. While in Crete, you will travel by bus to Heraklion and Samaria Gorge for awesome excursions. The program ends in Crete, so you will need to book a one-way flight from Heraklion to Athens at the end of the trip. You should book this flight to connect with your international flight departing Athens and taking you home! Finally, in Crete, you will do a 9-mile hike of the Samaria Gorge. This hike is challenging, but gorgeous, ending with a delicious meal at the Aegean Sea! Details: Enjoy 5 nights, 6 days seeing Italy’s best in Rome and the Amalfi Coast. Click here for a detailed description and itinerary! You will experience a full week of hands-on service. 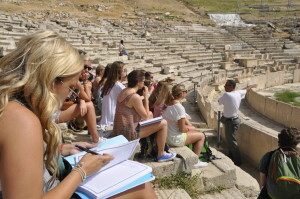 As part of our service-learning curriculum, you will dive into the local culture and gain perspective as you work in an underprivileged community in Athens. These experiences are made possible through our unique partnerships with local organizations including the Salvation Army and The NO Project. With the Salvation Army, we will work in a local community center, providing after school programs for the students. You will make a difference whether you are leading an arts and crafts activity, rehabilitating a building or organizing donations. The variety of projects we support for the Salvation Army directly lead to better care, support, programming and growth in their community. Each of the projects our students participate in directly impact the families and refugees living in the area. With the NO project, you will learn about the horrors of human trafficking and the steps you can take to help raise awareness. Human trafficking is a global issue and our local partner, Judy Boyle, has been a leader in this movement for years. During one of the most powerful days of the program, you will hear directly from Judy and learn simple ways to contribute to ending this tragedy. The service-learning curriculum includes both hands-on work, debrief discussions and journal reflections. Our faculty and teaching assistants will ensure that you are understanding the experience and connecting it back to your life at home. During LEAD Greece, you will enroll in two courses for a total of six credits from Oglethorpe University. Everyone participates in the same courses: Leadership: Global Theory and Practice and Global Citizenship and Civic Engagement. To provide more flexibility in your course selection, you can choose to label these courses in a variety of ways on your transcript under the subjects of interdisciplinary studies, history, politics or sociology. Past students say that they have learned more about themselves from these two courses than any other class taken during their college career. These courses focus on who you are as an individual and where you want to go in life. They allow you to define your vision and values in a way that you may have never thought about before, and they provide you with direction after you return home. All courses are tentative and subject to change. 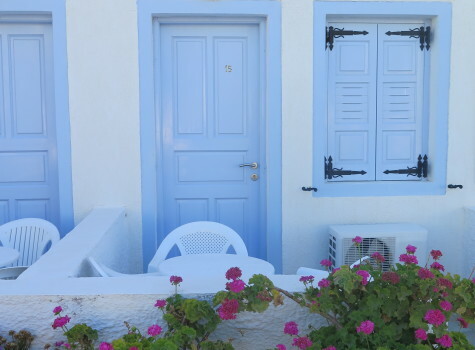 There are two ways to book your travel to Greece. First, you can reserve a seat on our group flight. This is a great way to get to know your fellow LeadAbroad travelers from the moment you depart the US. Traveling thousands of miles away from home is new and exciting so having familiar faces all around you makes the experience unforgettable. We will announce group flight details in the spring. If the flight is departing from a location other than your hometown, you will need to book your connecting flight independently to meet up with the group flight with a minimum 4-hour layover to connect. No need for any stress on the way to Greece! You can also choose to book your flight on your own. We will provide a time window when you should arrive at the airport in Athens. Whether you are on the group flight or a different flight on arrival day, LeadAbroad staff will be at the airport to greet you with huge posters and even bigger smiles. We will arrange your transportation to the hotel if you arrive within the designated group arrival timeframe. If you are traveling prior to the program, you can also meet us at the hotel to check in with the rest of the group on the same day! Your safety is our number one priority on all programs. With a triad staffing model including LeadAbroad program directors, interns and Oglethorpe University faculty. We execute safety procedures in Greece including assessment, education, security measures, ongoing monitoring and emergency response protocol. The LeadAbroad Policies, Terms & Conditions document outlines these policies in detail. We want every student to remain healthy on the program so they can get the most of their time in Greece. Though we are prepared to handle every health issue, we don’t want you to miss out on the adventures and fun. We combine pre-departure preparation with on the ground strategies to ensure our students are healthy and happy.